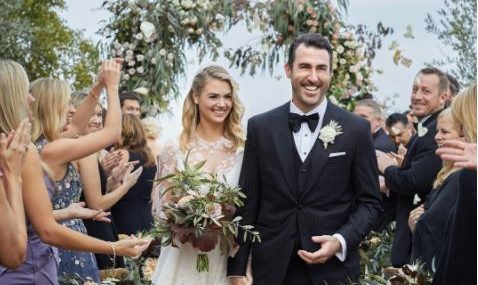 Mere weeks after a whirlwind World Series win and wedding, Kate Upton and Houston Astros pitcher Justin Verlander are gushing about their big day. According to EOnline.com, the celebrity couple appeared on The Tonight Show With Jimmy Fallon and shared that their friends and family were all in Italy for their celebrity wedding before they were! According to Verlander, their friends showed them around their destination venue via Facetime! Upton also shared details about their 2016 proposal, saying that she was nervous about looking at the ring while Verlander popped the question because she didn’t want him to think she was materialistic. Afterward, Verlander asked if Upon liked the ring and was worried she didn’t like it! Too funny! We wish this celebrity couple nothing but the best. We can’t get enough of this celebrity wedding and proposal! What are some ways to make your engagement and wedding day extra special? 1. Add your personal touch: Your wedding is all about representing you and your partner. Make sure your personalities shine through! You can add your own creative spins on traditional engagement or wedding must-haves. If you don’t like cake, don’t serve it! Pie is good too. Its your day, so you have free reign to make it your own. 3. Create a hashtag: Don’t like the idea of a phone-free zone? That’s okay! Wedding hashtags are very on-trend. Creating a cute play on words with your last names or thinking of a funny inside joke is makes for a perfect wedding hashtag. The more creative, the better! That way, you can go back and browse through all the moments your guests shared together. It’s like a digital guest book! How did you make your engagement and wedding day special? Comment below!